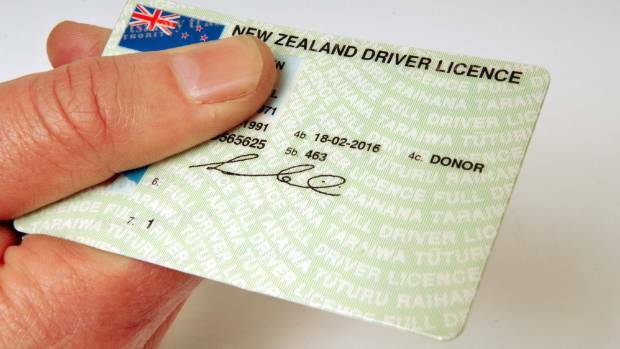 More than half of all New Zealand drivers have ticked "donor" on their driver licences, official figures show. The NZ Transport Agency figures come on the back of 100 submissions on a Ministry of Health-led review aimed at improving organ donation rates, and looking at what role the licence register should play. Barring the 75-plus age group, willing donors were in the majority for every age group, when compared with those who indicated no, or left the space blank. Released under the Official Information Act, the figures break down the number of donors out of the country's There are 3.5 million licensed drivers, of whom 1.9m have indicated "donor" on their licences. Last year, there were 61 dead organ donors. Making the driver licence system an effective register is one of the proposals the ministry has suggested in the review. It says this could be done through better information, and more opportunities to update donor preferences. Twenty-eight respondents agreed there needed to be improvements to the driver licence system. Six partially agreed, and 21 disagreed. Others said New Zealand needed a standalone national body tasked with co-ordinating organ transplants. At present, only medical practitioners have access to the driver licence register. Several submissions suggested changing the Land Transport Act to open access to more health professionals, such as donor co-ordinators. Organ Donation NZ (ODNZ) has said the baseline for determining the number of potential donors is almost impossible to gauge, because of the range of caveats that must be considered before someone can become a donor. Organ donation is possible only when a person is on a ventilator in an intensive care unit, usually with severe brain damage. Fewer than 1 per cent of all deaths happen this way, according to ODNZ. Ministry of Health regulatory policy group manager Hannah Cameron said the national strategy was nearing completion. "We cannot indicate a date for release, as final details are being worked through before it can be presented to the minister of health." Organ donation should be seen as a shared priority across the health system – from the Government, the Ministry of Health, district health boards and hospitals, Stephen Streat, clinical director of ODNZ, said in his submission. "Simply focusing on 'leadership within ICUs' will not lead to the necessary change in activity." ODNZ did not support the establishment of a national register, nor public awareness campaigns, which it deemed ineffective. However, funding for an extra 10 to 15 fulltime-equivalent ICU doctors and nurses nationwide would probably improve donation rates, Streat said. His submission said the first priority should be on clinical settings, "especially in near-death brain dead donors, and when patients are admitted to ICU from the emergency department". "[T]hese are the areas within which it is clear that the largest potential for increasing rates of donation lie." COULD LICENCE SYSTEM WORK AS OFFICIAL REGISTER? ?A submission by Max Reid, of Kidney Health NZ, was not supportive of a new register, but said the existing licence system should be retained and improved. The current way of tagging a question about organ donation on to driver licence forms was problematic, "and there is no evidence of any information about the importance of registering as a donor being provided when licences are issued or renewed", Reid's submission said. "With over 90 per cent of adults having a driver's licence, the current system – if operating properly, and with the support of ready information and promotion – should provide an appropriate point of access." The number of licence holders who had said yes to being a donor represented a relatively high registration rate by international standards, he said. "By comparison, the UK and Australia have undertaken major campaigns to lift registration rates, but have only achieved around a third of their adult population registering their intent. "[W]e recommend the effort first go into improving the current driver's licence system."